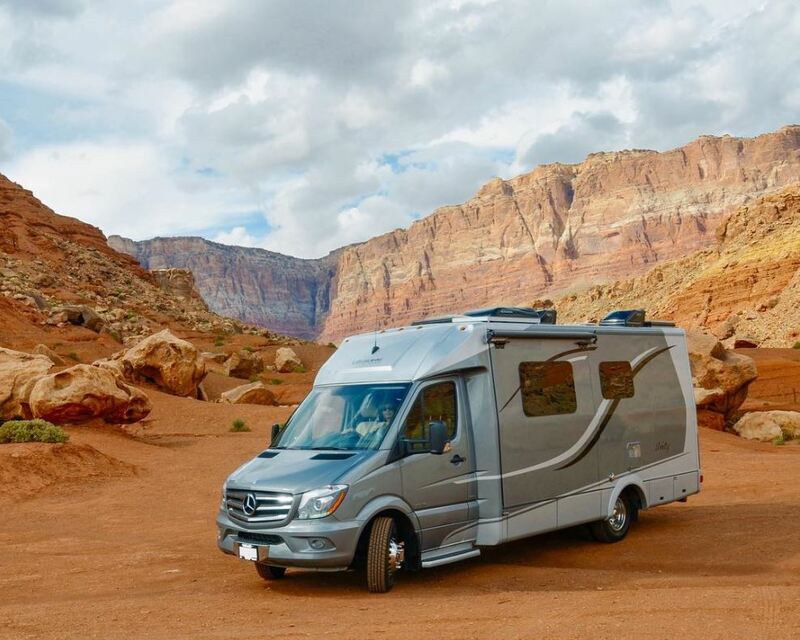 Choosing the right RV for your needs can be overwhelming. From Class to manufacturer to style, the market is packed with top-tier options. Thankfully, we have first-hand experience with the challenge, so today we’re sharing our expertise on which RV is right for you by breaking down each Class in layman’s terms and asking the necessary, obvious (and not so obvious) questions. Where do you want to go in your home on wheels? Are you looking to head into the wild for unchartered terrain? You’ll probably primarily boondock camp. More interested in relaxing in the comfort of your new home on wheels in towns and cities? You’ll settle into the campground lifestyle just fine. You might even be a hybrid of the two. Answer this question first so that you can start eliminating options that don’t facilitate your camping needs. When RVing, how many people (furry friends included) will be living in your RV? Many motorhomes have convertible beds and additional sleeping options made to comfortably fit the number of travelers you’ll be adventuring with. If you think you’ll have guests, you might want to opt for that extra fold out or overhead bunk. Are you bringing everything you own with you or will you be traveling light? 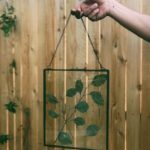 Figuring out your storage needs (including outdoor activities, cooking, etc.) will bring you one step closer to your RV. 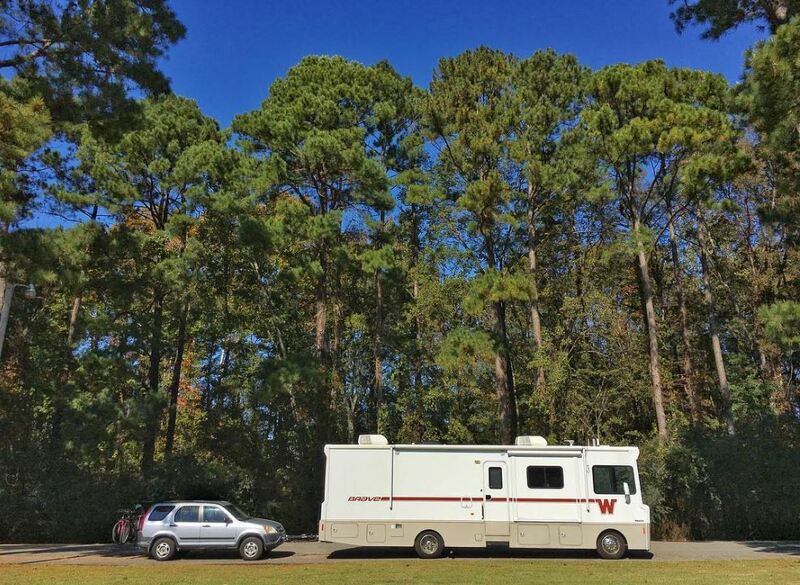 Are you going to be a full-time RVer or a weekend warrior? You might not want to spring for all the bells and whistles if you’re just going to be adventure traveling two days out of the week. Or perhaps you will, and the best part is, you get to answer that for yourself. To tow or not to tow. Set on towing an additional vehicle (often nice for running errands in town or adventuring in tight spaces while the RV stays at the campground)? You’ll need a camper that can haul your load. Your budget can help facilitate in the resizing of your option pool. If you’re wanting some upgrades (roof air-conditioner, AC generator, microwave, etc) but aren’t able to swing it at the time of your RV purchase, you have the option for future add-on’s. This helps keep your initial budget down but allows you the opportunity to eventually have exactly what you want. We can’t hype RV shows enough. 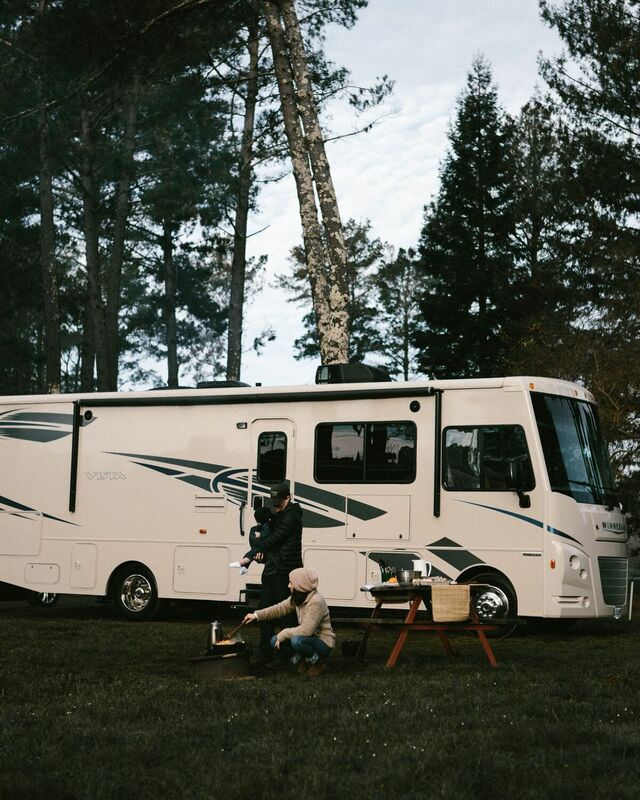 There is no better way to physically get your hands on the RV of your dreams (and your reality) then by exploring all of your options under one roof while utilizing your access to specialists who are there to answer all your questions. These RV’s are ideal for those who want a home that can pack up and go with bells and whistles in spades. Class A’s can also handle the largest capacity, with certain models offering comfortable sleeping for 6+. All of your motorized bunk house models will be class A’s. If you’re in the market for a Class A we encourage you to look at Fleetwood, Tiffin, Thor Motor Coach and Winnebago. Imagine taking a team of engineers and saying, “fit a Class A into this small van.” Obviously it is not a Class A, but Class B vans pack a TON of features for how small the space is. Most of the amenities in a Class B are not immediately apparent. It can take Class B owners a while to learn the ins and outs of their RV but once they do, they tend to be of the few people who know how to quickly and expertly turn their bed into a table for 4. Carrying capacity is much lower for all holding tanks, storage and even chassis weight, so Class B owners often live a minimalist lifestyle. Driver and passenger seats will swivel 180 degrees for additional seating and many other features are combined creatively in order to pack it all in. 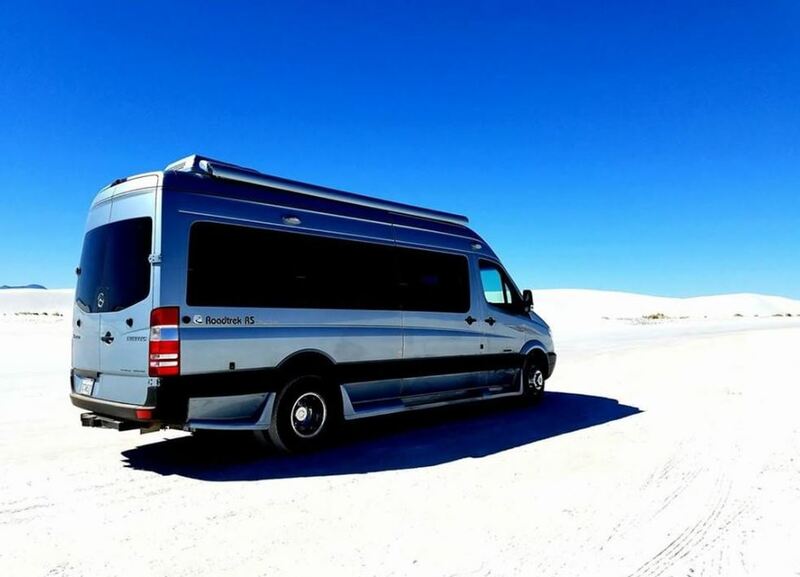 If you’re in the market for a Class B we encourage you to look at Carado, Leisure Travel Vans and Roadtrek. Class C’s are desirable for several reasons. If you want a Class A without the price, a large Class C is a great option as it has a bunch of Class A type features. Need something in between ultra compact Class B and ultra lux Class A? A Class C is your answer. 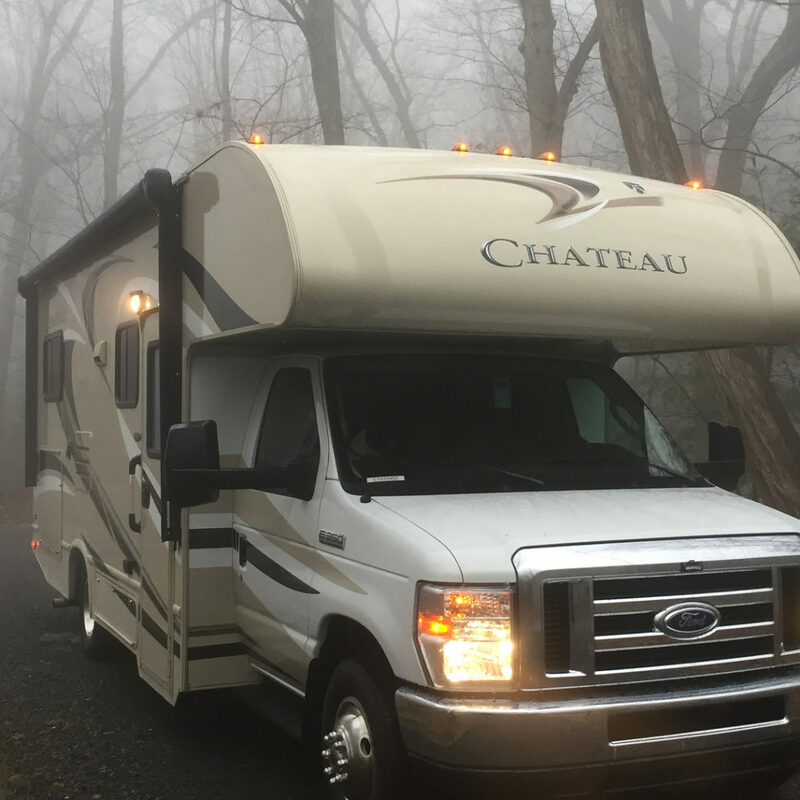 If you’re wondering if the RV lifestyle is right for you, an entry level price point Class C is ideal. If you’re in the market for a Class C we encourage you to look at Fleetwood, Roadtrek, Leisure Travel Vans and Winnebago. Hey Buddy!, I found this information for you: "Which RV is Right For You?". 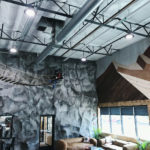 Here is the website link: https://experiencelife.lamesarv.com/2018/04/which-rv-is-right-for-you/. Thank you.